Sushi Planet Modbury have created some delicious new dishes in addition to their already tantalising menu just in time for summer. Get your exclusive sneak peak here! Tofu Balls Witloft Warp – Delicately plated on a rectangular white ceramic plate, inside bite sized cabbage leafs, a sweet and spicy portion of tofu sits. Tofu often has quite an unpleasant texture, however Sushi Planet have artfully managed to disguise it with a crunchy texture and a punching flavour. Both vegetarians and meat eaters can enjoy this one, as it is easily the sweetest new item on the Sushi Planet menu. 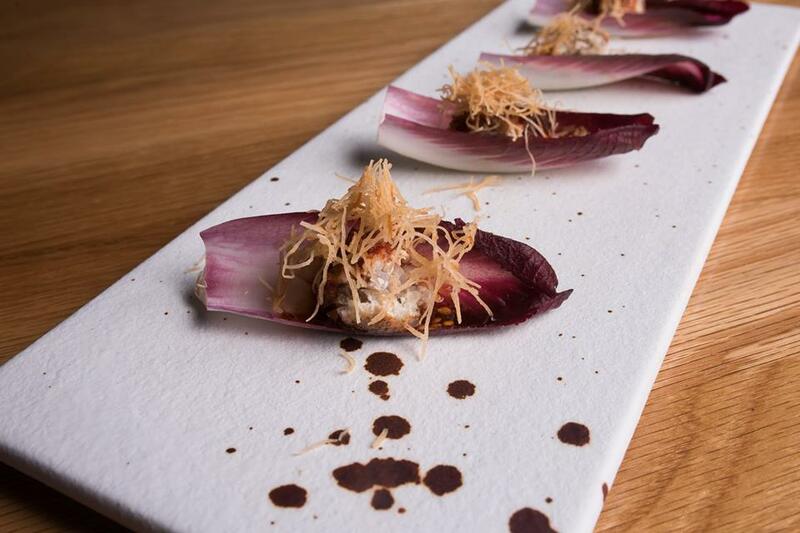 Tuna Tataki – A sweet red wine reduce is drizzled over the plate with several identical slithers of tuna plated on top. 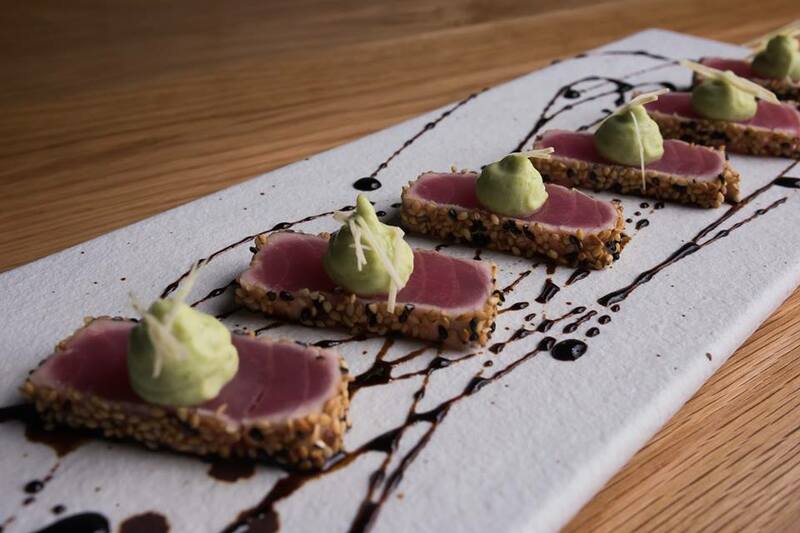 Pan seared sashimi grade tuna is coated in a peppery, earthy seasoning and topped with a creamy avocado and cheese sauce, which compliments the tuna brilliantly. For those of you who enjoy the more subtle flavours this is the dish for you, as it isn’t so overpowering that takes over your tastebuds for the remainder of the meal. The flavours and textures and perfectly balanced, making it a great dish to start with. 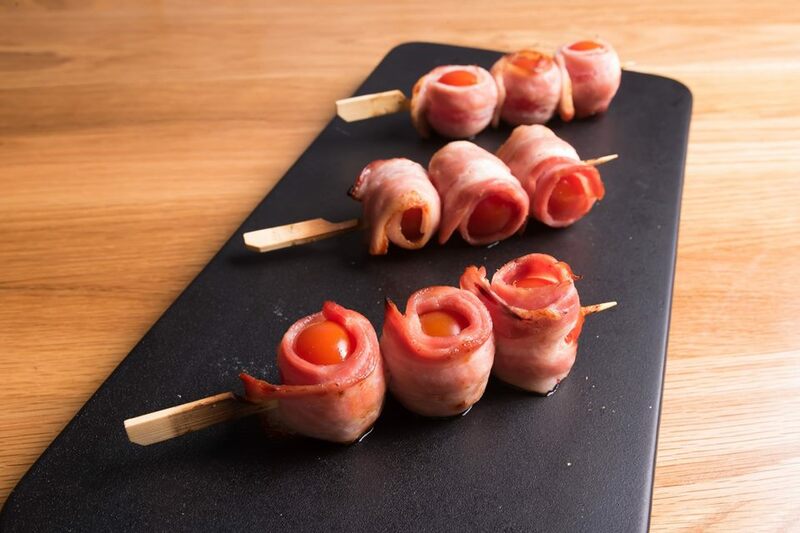 Bacon Tomato Skewers – A somewhat unusual Japanese menu item, as bacon and tomato are most commonly associated with a full English Breakfast. However, reserve judgement, because the saltiness of the bacon is a welcome treat after a few pieces of sashimi. A word of warning though, try not to attempt to bite into the tomato, lest you end up wearing it! The perfectly ripe tomatoes will pop under pressure, squirting tomato juice down your front, or worse – all over your date. Although, I suppose that’d make for a funny story one day. Sushi Planet Modbury are now excitingly available on UberEats, so if you’ve had a long week and don’t feel like scrubbing up for a restaurant meal, enjoy the convenience of the full Sushi Planet menu on UberEats. The Northern suburbs no longer have to miss out on the brilliance that is UberEats delivery. Be sure to order the Shrimp Topped Rolls with avocado and mango as well, because they’re a real treat! We’d like to thank Sushi Planet Modbury for sharing their new inventions with us this week. Hopefully you’ll be as excited to try them as we were. Sushi Planet Modbury is open daily 11:30am to 9pm, and until 10pm on Friday and Saturday nights. For the best sushi on the north side of town be sure to go to Sushi Planet Modbury, you won’t be disappointed!